Indeterminately maturing, wind-dispersed wildflower seeds can be difficult to effectively harvest to maximum yields using traditional equipment. We modified a Flail-Vac Seed Stripper by mounting heavy loops of chain to the front to provide agitation of the floral canopy to disarticulate seed from the flowers of Machaeranthera canescens. This allowed for multiple, non-damaging harvests that collected primarily ripe seed that was ready to shatter. We saw a 5 fold increase in seed yields compared to those obtained with a standard Flail-Vac and a significant reduction in seed processing time compared to our previous harvest experience. 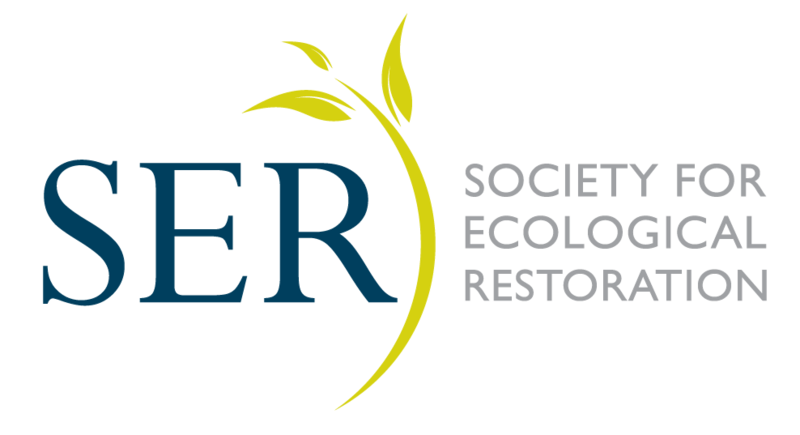 The first symposium dedicated to native seeds in dryland restoration organised by INSR and the Kuwait Institute for Scientific Research (KISR) was held in November in Kuwait City. With almost 200 delegates from some of the most impressive dryland regions of the world from the Sudan to the Sahara to the Australian deserts, the three day meeting and field trip was an inspiring event as scientists and practitioners shared the latest research and technologies for saving and restoring the world’s drylands. The Aberdeen Plant Materials Center uses a “pop test” to get an approximation of seed viability during the seed cleaning process by sprinkling a small number of seeds on a hot plate and counting the number that pop. If the percentage of popped seed is high enough, usually above 90%, we know the cleaning system is doing a good job of removing empty or shriveled seed. If the popped percentage is low, we can adjust the air-flow and remove more light seed. Picture Colorado. What comes to mind? For most people, it’s the soaring, majestic peaks of the Rocky Mountains. However, the alpine ecosystem constitutes just one of Colorado’s six major vegetation zones. The state’s rich floral diversity is distributed throughout multiple systems, including shortgrass steppe, shrub steppe, pinon-juniper woodland, montane forest, subalpine forest, and alpine. Of Colorado’s 2,797 native plant species, 525 (16%) are rare, and 90 (2.6%) are rare endemics (see all rare Colorado species here). All of these taxa are at risk of decline as a result of multiple, interacting factors. The native seed industry for herbaceous plants in Europe is a relatively young sector, with the oldest companies having about 35 years of experience. This sector has also a very uneven level of development across the continent. On September 2017, the final conference of the NASSTEC (Native Seed Science, Technology and Conservation) Initial Training Network, was held at the Royal Botanic Gardens Kew (UK). NASSTEC main objectives were to train a new generation of native seed specialists in Europe and to better connect European native seed stakeholders in order to improve the native seed supply and the success in grassland restoration. The program is based at the Chicago Botanic Garden, where students work alongside researchers and college-age mentors (who are part of Garden’s National Science Foundation’s funded Research Experience for Undergraduates program). Working with their mentors, students help to address important challenges in plant conservation and restoration. The goal of the program is to increase diversity in STEM fields, with an emphasis on a university education as a means of creating and achieving career aspirations for students, many whom are often the first in their families to attend college. The students are responsible for developing and carrying out an independent project to get hands-on experience conducting plant-based research. Experiences like these are unique and spark a deeper understanding and appreciation of the natural world, a sentiment which can sometimes seem distant in a large metropolitan area like Chicago.